This might be the funnest food I have ever seen. This rainbow pizza is packed full of yummy veggies, although my daughter who is not a fan of vegetables said 'that doesn't look enjoyable to eat. I guess this one would have to be fore the adults in the family. 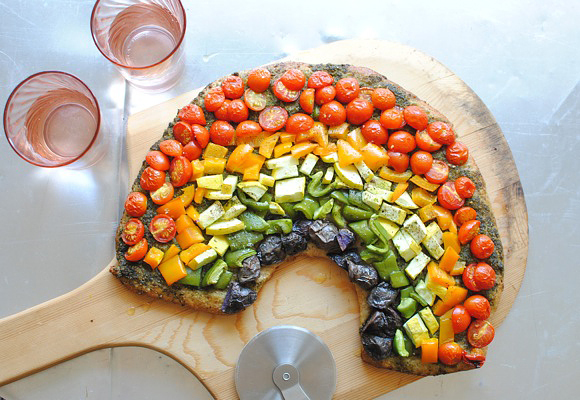 You can check out how to make a rainbow pizza over at Quick Dish by Tablespoon.